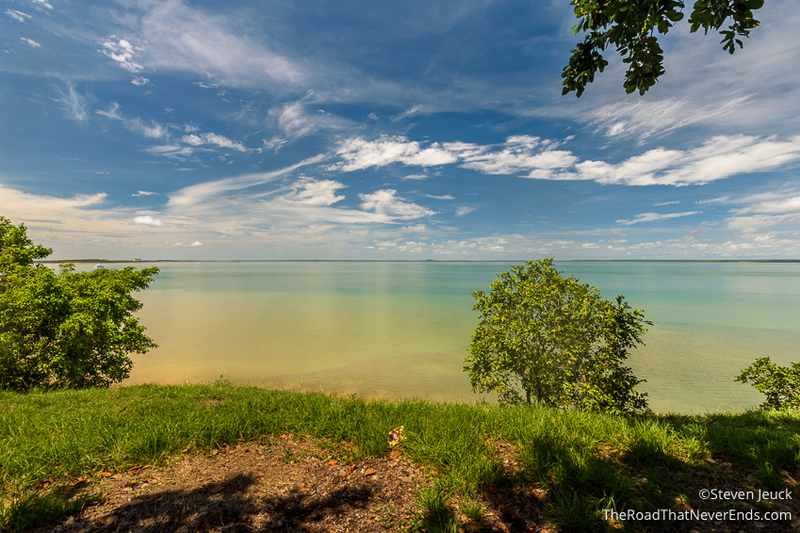 Darwin was a quick stop for us as we prepared to move to South East Asia. We found a really cheap flight from Darwin to Bali and decided to do it. 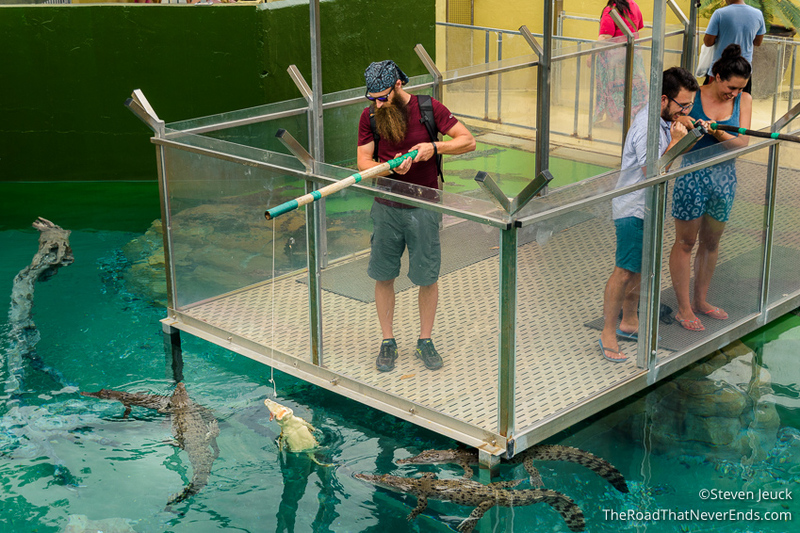 Darwin isn’t really known to be a “must-see” tourist destination, but we ended up finding plenty to do. In fact when we told Australians we were heading to Darwin they universally had one question, “Why?” We were there for two days, and the first day we spent the entire day in the hotel room, planning some of our South East Asia trip. Lucky for us, the hotel had decent Wifi, and marvelous air conditioning. We flew via TigerAir to Darwin from Brisbane on a late flight. We landed after midnight. To get to the hotel we had to take a taxi. Uber does not work there. They also do not have any metro system. They do have city busses, but none were operating that late at night. For the one day we spent sightseeing, we walked everywhere, which was a little miserable considering how hot it was. We debated about taking a bus to a Defense Museum, but the museum was closing early that day, so we decided it wasn’t worth it for a short time. We stayed at Argus Hotel. Our hotel was nice. It had a decent breakfast that ended at 9:30, and that was no joke, at 9:30 they packed it all away quickly. Our hotel was a 5-minute walk from the major street with restaurants, bars and parks. The only downside of the hotel was the thin walls. On Saturday night there was a hotel party going on next door, and we could hear everything… everything. Besides spending one day holed up in our room, we did spend another day out and about seeing stuff. Also, to escape the heat, we went and saw the movie, Logan, ahh, air-conditioning! We were really surprised that both Saturday and Sunday nights, Darwin has quite the nightlife. Ladies and men dressed in their finest club/bar attire were on the streets going to and from. So if you are ever in Darwin, you may want to be prepared. 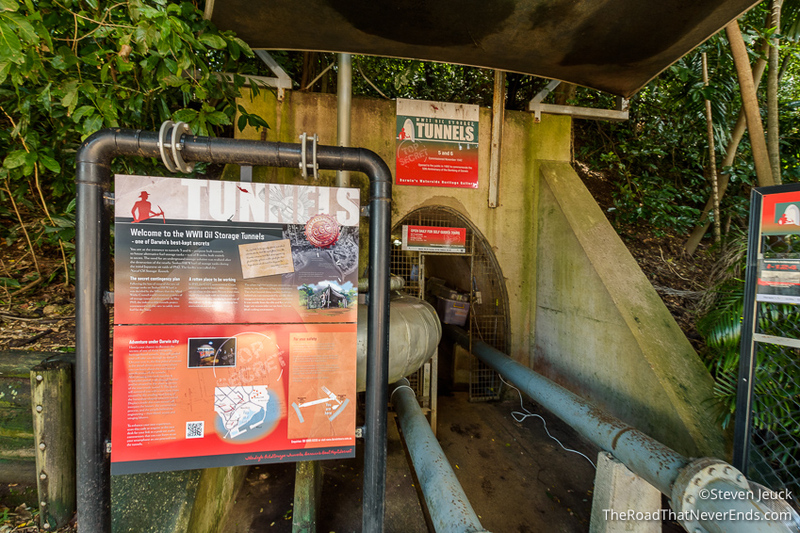 WWII Tunnels Tour – The tunnels were originally built to protect oil stored in Darwin from Japanese bombing. 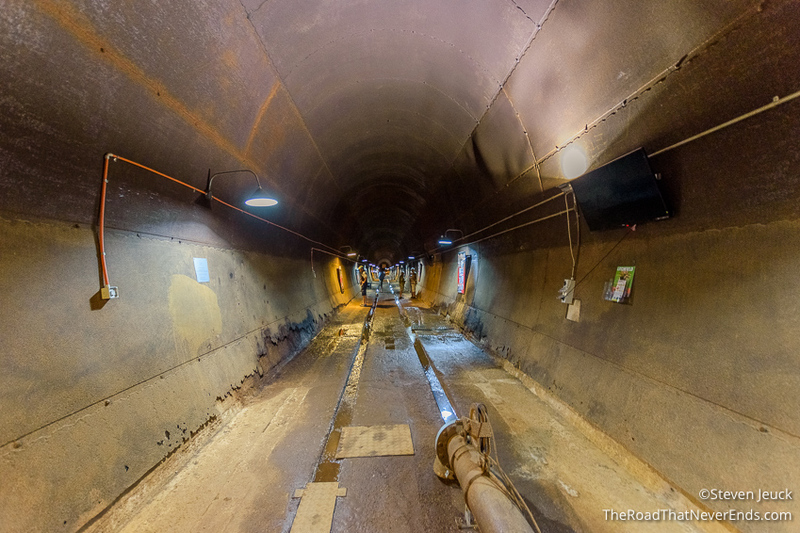 There were originally 11 tunnels, but today, tunnel 5 & 6 are open for viewing. 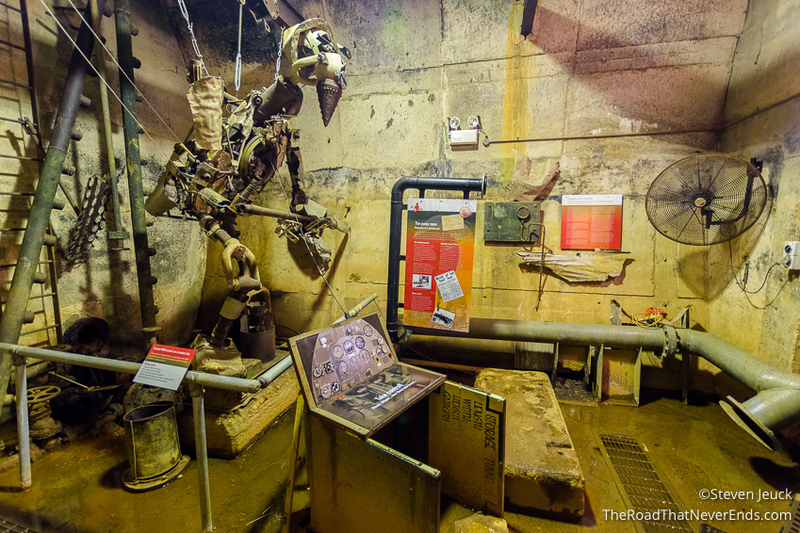 Besides checking out the tunnels, they have exhibits in the tunnels regarding Australia’s history in WWII. True story, a few months after Pearl Harbor, the same Japanese fleet bombed Darwin. Just incredible. Crocosaurus Cove – We had time to kill, so visited this park since it was recommended on TripAdvisor. We were surprised to see so many crocodiles. In fact, our highlight was being able to feed the juvenile crocs. 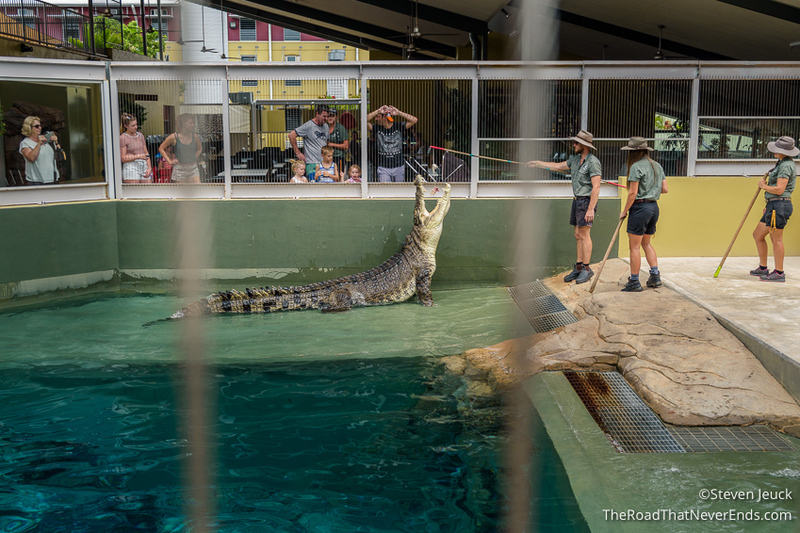 The crocodiles that are there are from nearby areas in Northern Territory, and most were injured when rescued. We got to see “Burt”, who is a famous crocodile, being in many movies. He is also their largest & oldest crocodile, at 80+ years old, over 5 meters in length and close to 800 kilograms. Besides crocodiles, they have dozens of other “critters”. McDonalds is referred to by locals as “Maccas” and seems to be well liked. Australian style burgers include beets and a fried egg. We had a challenging time figuring out if restaurants on table service, pay the waiter/waitress or pay at counter. It seemed like sometimes we would sit for a long time before someone would come and say we had to order at the counter. A lot of the restaurants allow a BYOB, or wine, especially if they don’t have a license to serve. We did try Vegemite, and hated it. For the uninitiated, it is leftover brewer’s yeast with some other horrible things added to it to try to make it edible. You then spread it over toast and spend the rest of the day re-evaluating your life choices. How this has become a thing, we have no idea. We saw some restaurants serve Kangaroo steak, or burger. We didn’t try it. At the advice of my friend, Kent, we tried Tim Tams. They are delicious, and would go great with coffee (although it was too hot for us to drink coffee at the time). They have sold Tim Tams at Target for a few years now. They are delicious! Nice and chocolately!